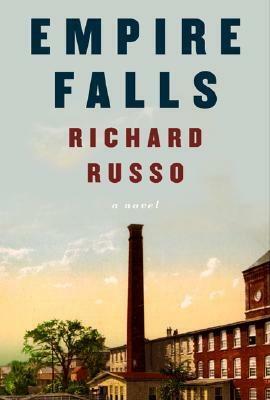 Richard Russo--from his first novel, Mohawk, to his most recent, Straight Man--has demonstrated a peerless affinity for the human tragicomedy, and with this stunning new novel he extends even further his claims on the small-town, blue-collar heart of the country. Dexter County, Maine, and specifically the town of Empire Falls, has seen better days, and for decades, in fact, only a succession from bad to worse. One by one, its logging and textile enterprises have gone belly-up, and the once vast holdings of the Whiting clan (presided over by the last scion's widow) now mostly amount to decrepit real estate. The working classes, meanwhile, continue to eke out whatever meager promise isn't already boarded up. Miles Roby gazes over this ruined kingdom from the Empire Grill, an opportunity of his youth that has become the albatross of his daily and future life. Called back from college and set to work by family obligations--his mother ailing, his father a loose cannon--Miles never left home again. Even so, his own obligations are manifold: a pending divorce; a troubled younger brother; and, not least, a peculiar partnership in the failing grill with none other than Mrs. Whiting. All of these, though, are offset by his daughter, Tick, whom he guides gently and proudly through the tribulations of adolescence. Richard Russo lives in coastal Maine with his wife and their two daughters. His novels Mohawk, The Risk Pool, Nobody's Fool and Straight Man are available in Vintage paperback.